This traditional mountain home sets itself apart with its meticulous attention to detail. 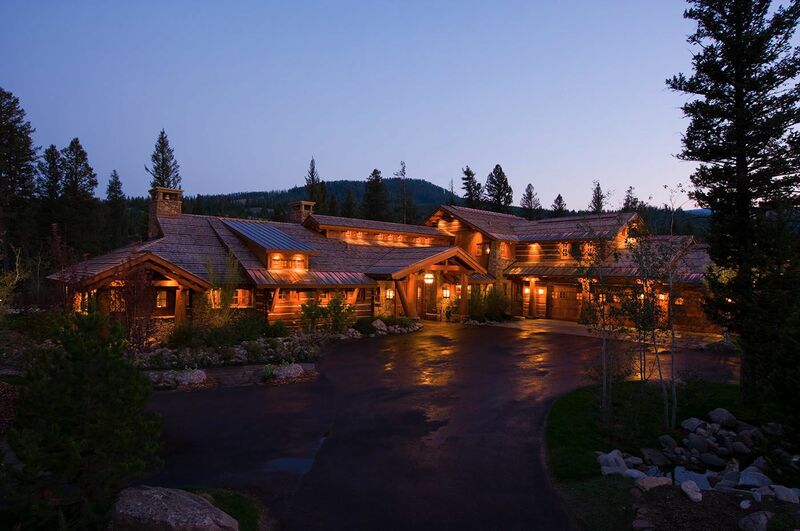 From the “parkitecture” style log columns, a callback to the architecture of Yellowstone National Park, to the smallest interior detail, Bear Basin Ranch is the definition of luxury in a rural setting. The creation of interesting, usable spaces was an integral part of this project. A small upper level acts as a secondary getaway space, and the clerestory windows allow light to penetrate the center of the home. The heavy log and timber structure was celebrated throughout the home, repeating and creating a rhythm through the spaces, from exterior to interior. 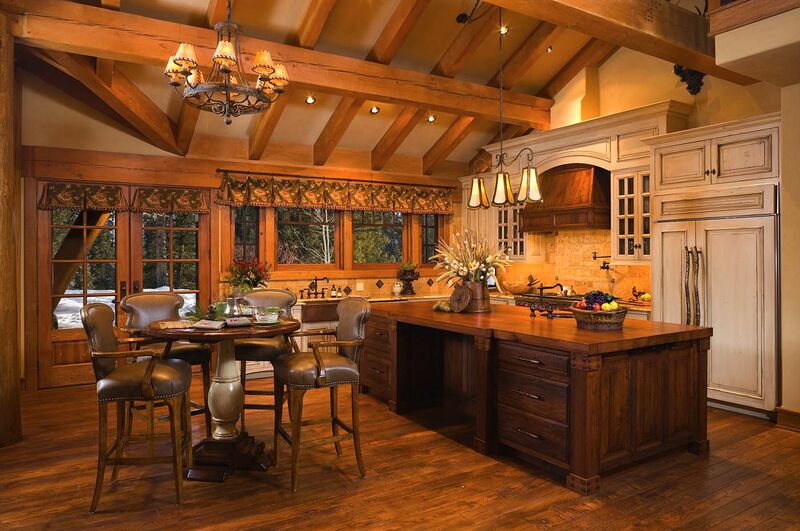 Thick, horizontal wood planks with heavy sand chinking add to the rustic feel, and compliment the over-sized timbers. 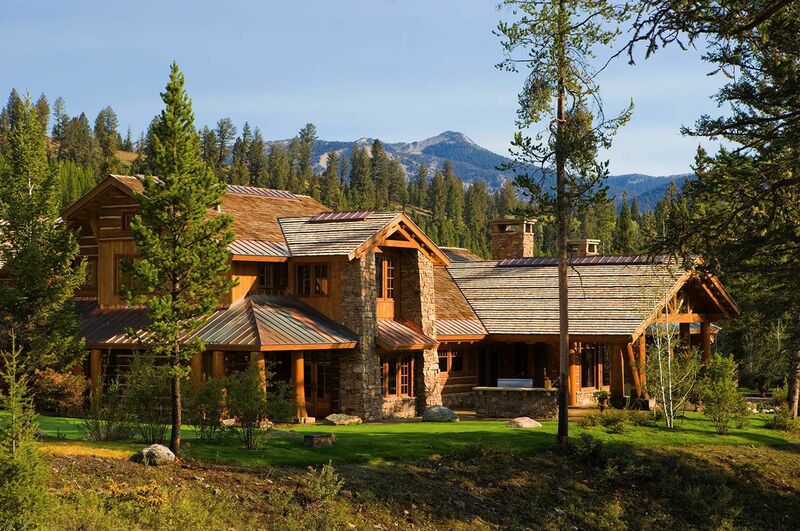 Cedar shake roofing with copper slip edges helps the home to not only blend with the natural spaces and views that surround it; but to become a part of the picturesque setting, as if it had been there all along.